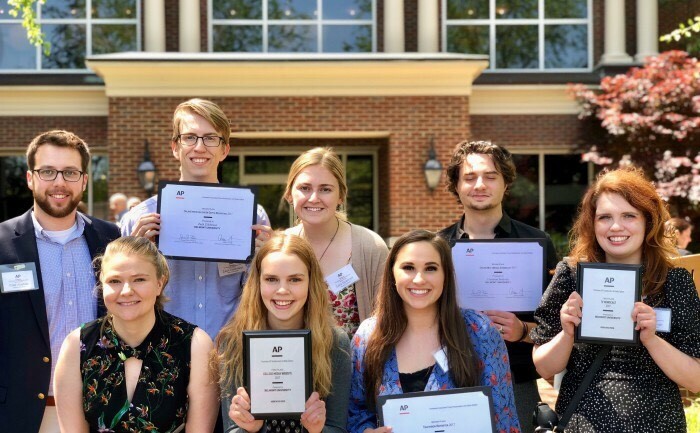 The Vision, Belmont’s student media outlet, won five awards this weekend from the Tennessee Associated Press Broadcasters & Media Editors college contest, including first place for both College Media Website and TV Newscast (the monthly VNN: Vision News Network). The awards were presented Saturday evening at the John Seigenthaler Center in Nashville. Students from 17 schools submitted more than 300 entries in the contest to honor the best in Tennessee college journalism in 2017.